Apple on Saturday posted a short commercial spot highlighting the health tracking functions of Apple Watch Series 2, urging users to keep fit by closing their Activity app rings. 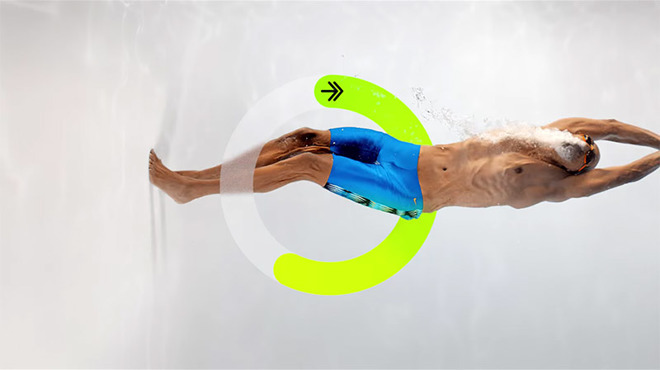 Titled "Apple Watch Series 2 — Close Your Rings — Catch, Swim, Play," today's 15-second commercial is a continuation of Apple's new ad series dedicated to showing off Apple Watch's fitness features. The first "Close Your Rings" spot aired nearly a month ago. Like last month's ad, the new commercial encourages Apple Watch users to close the Activity app's Stand, Exercise and Move rings. Introduced with the first Apple Watch, rings are graphical representations of movement data gathered by onboard sensors like accelerometers and Watch's custom heart rate sensor. As users stand, walk, move and raise their heart rate by exercising over the course of a day, the rings fill up, or "close." How long it takes for a ring or rings to close depends on preset goals established during initial device configuration. Users can also change goals at a later date, for example shifting the hours they want to stand or the calories they want to burn. Apple is placing an intense marketing focus on health and fitness with its latest Apple Watch Series 2, a device that launched last year with minor hardware improvements. The company also partnered with Nike to produce a Nike+ version of the device that comes with a special sports band and preloaded Nike software.